Australians borrowers are more satisfied when they work with a mortgage broker versus a lender directly, according to new research. Mortgage brokers provide a free service to Australian borrowers, they are remunerated via commission from the lenders they place products with. The horrors of the royal commission have sparked debate about commissions and raised questions as to whether the way mortgage brokers are incentivised adversely impacts consumers. Although on a superficial level it may appear that commissions would see brokers incentivised purely by remuneration, new research into how mortgage brokers impact consumer outcomes debunks this thinking. The Consumer Access to Mortgages Report, spearheaded by Momentum Intelligence, asked 5,782 broker and bank customers about why they used a broker or went directly to a lender, what their experience and sentiment was around broker commissions and, importantly, what their satisfaction levels were with the distribution channel they used, among other topics. According to the report, mortgage broker clients are more satisfied with their experience than direct-to-lender borrowers are. Mortgagors were asked which channel they used to secure their most recent mortgage. They were then asked how satisfied they were with their experience. The final report shows that mortgage broker clients were overwhelmingly satisfied with their experience. The majority (84 per cent) of broker clients said they were “very satisfied” with their last experience – with the figure being even higher when including those who were “satisfied” (96.3 per cent). This contrasts to the direct channel, where only a quarter (25.8 per cent) of direct-to-lender customers said they were “very satisfied” with their experience. This rose to 66.8 per cent when looking at satisfaction more generally. Respondents were also asked which channel they would use if they were to take out another mortgage in the future. Notably, 95.8 per cent of borrowers who used a broker said they would do so again, while less than a third (31.4 per cent) of those who used a lender said they would directly go to a lender again. Interestingly, more than 63 per cent of direct-to-lender mortgagors said they would switch to using a broker for their next mortgage. Broker clients said they largely went to a broker because they believed that they would be most likely to get “the best loan for [their] needs” (59.5 per cent) and believed they would have access to “the widest choice of products that are available” (45.4 per cent). For the direct channel, these figures were only 44.6 per cent and 31.4 per cent, respectively – showing that direct-to-lender borrowers are aware that they will only get a limited choice of products for their home loans. Building on the findings from Momentum Intelligence’s Borrower Experience Survey, the white paper also sought to understand the attitudes, perceptions and priorities of borrowers in relation to broker remuneration. The report shows that nearly 80 per cent (78.6 per cent) of borrowers who have used or intend to use a mortgage broker “have no concerns with this structure”. Overall, those who were concerned with the structure (around a fifth of respondents) generally pointed to a concern that the broker could be influenced to recommend a certain lender’s product to them. Building on this, Momentum Intelligence asked respondents who have used, or intend to use a broker in the future, whether they would be willing to pay a fee for the service. Nearly two-thirds (58 per cent) said they would not be willing to pay a broker a fee. While two-fifths of respondents said they were willing to pay a fee, the vast majority were only willing to pay a few hundred dollars. Just 11 per cent were willing to pay a maximum of $1,000 for a broker’s service, 3.5 per cent up to $2,000, while only 1 per cent were willing to pay up to $5,000. The average upfront commission for a broker is reported to be around $2,000. A common theme uncovered from these responses was that while they prefer to use a mortgage broker, they would be unable to afford or would be unwilling to pay a fee-for-service if it was mandated. Commenting on the report rationale and findings, Alex Whitlock, director of Momentum Intelligence, said: “Throughout the banking royal commission, we have heard much speculation around the various practices and remuneration structures of broker businesses and the perceived impact they have on customer outcomes. “This research is really all about the customer perspective, something we feel has been missing from this whole debate. It is clear that the vast majority of Australians see great value in service provided by a broker. They also believe that they get a better outcome using a broker than going directly to the lender,” Mr Whitlock said. He continued: “A serious implication of the proposed fee-for-service model is that consumers would be naturally driven to their primary personal bank, which is likely to be one of the big four. This would reduce competition by driving smaller lenders, who rely heavily on brokers, out of the market. “Fewer lenders will give the dominant retail banks the opportunity to increase their margin by pushing up interest rates. 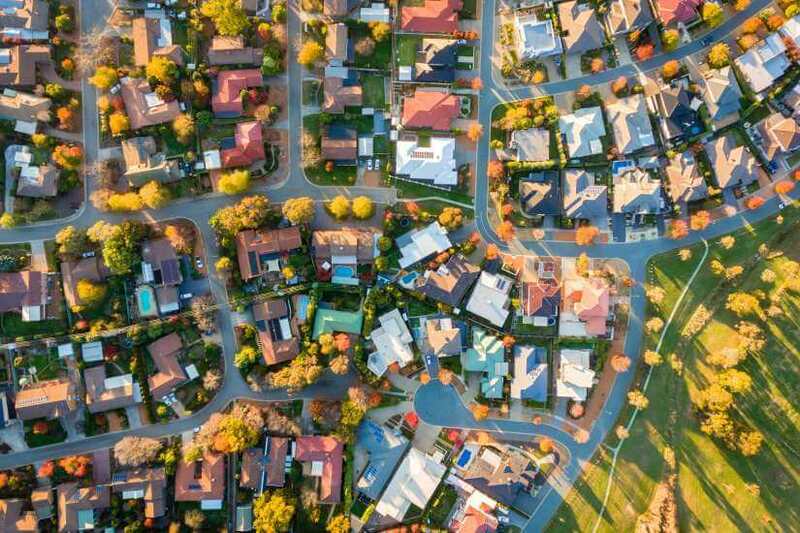 With mortgage repayments and household debt concerns looming, this result could also potentially lead to higher financial distress for Australian consumers,” he warned.